Hannah graduated from the University of Portsmouth in 2010 with a BSc (Hons) in Geography. She joined Richard Buxton as a paralegal in September 2013, having spent 3 years at Ashtons Legal in Cambridge, where she had been working in the Private Client department, assisting in the preparation of Wills and Powers of Attorney and in the administration of estates. 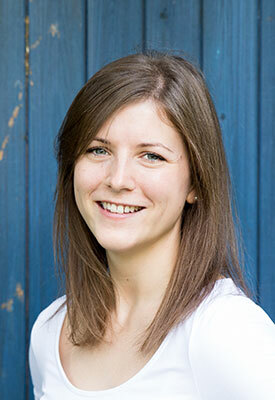 Since joining Richard Buxton, Hannah has assisted on a variety of environmental and planning judicial review cases, at the High Court, Court of Appeal and Supreme Court stages, including conservation matters, action against specific planning applications and challenges to Core Strategies and Local Plans. Kath Kusyn joined Richard Buxtons in February 2016 as an Administrator. Kath previously worked for Eversheds LLP as a Legal Secretary in the Real Estate department and also the Company Commercial department. Kath is also studying part time for a BSc (Hons) in Psychology with the Open University but very much enjoys working in the Public & Environmental area of Law. As well as Administration, Kath looks after the accounts and the day to day running of the office. Rebecca graduated from the University of Warwick in 2016 with a BA (Hons) in English Literature. She joined Richard Buxton as a paralegal in May 2017 and is currently studying part-time for the Graduate Diploma in Law. Rebecca has been involved in a variety of matters in the High Court, Court of Appeal and Supreme Court. She is experienced in assisting with planning judicial review cases, and is presently enjoying strengthening her practice in other areas of environmental law. Rebecca recently achieved her first success in drafting grounds for a pre-action letter which resulted in the defendant planning authority consenting to quashing of the permission under challenge. Kiran graduated from Anglia Ruskin University in 2018 with an LLB (Hons). She joined Richard Buxton Solicitors as a paralegal in August 2018 and is currently studying the Legal Practice Course part time at CILEX Law School. Since joining, she has assisted in a number of judicial review cases in the High Court and the Court of Appeal, including in relation to fracking, industrial farming operations, and residential developments. Kiran hopes to undertake a PhD in environmental law. Ella graduated from the University of Bristol in 2017 with a BSc in Politics and Philosophy, and finished the GDL at the University of Sussex in 2018. She joined Richard Buxton Solicitors in January 2019, and is currently working part-time alongside studying for her LPC.